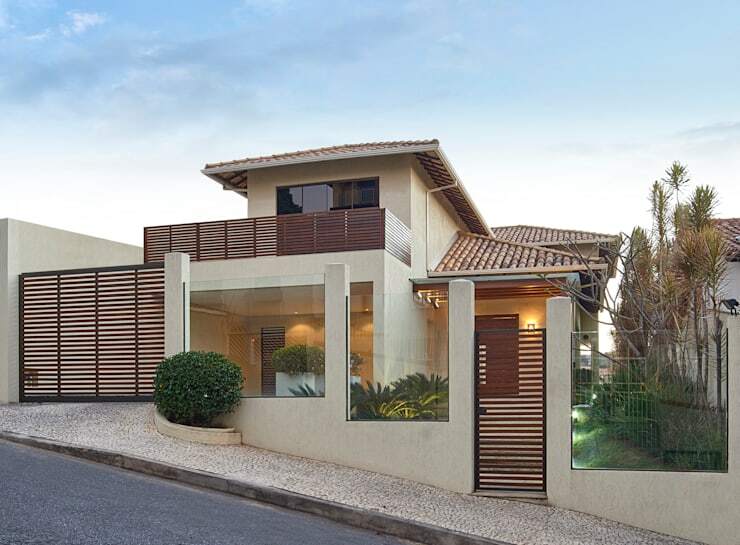 The façade of your home is the first thing that your guests see, and if it is interesting and unique enough it can even attract and catch the eye of passers-by. 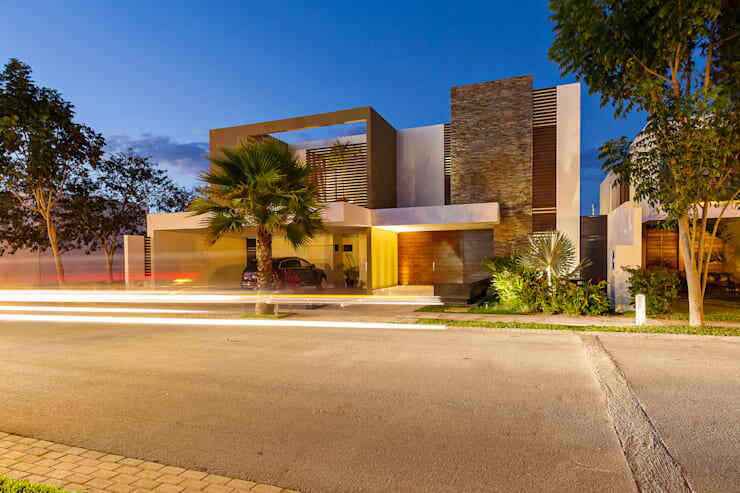 Houses with smart and well-kept exteriors provide visitors with a glimpse of how much pride the owners or inhabitants take in their living quarters. A beautiful façade with perfectly painted and maintained windows, frames and doors is just one way to keep your home attractive. This Ideabook compiled by the homify team will provide you with some sensational façade ideas to make your exterior current and contemporary again, regardless of whether your style is vintage or eclectic. For a simple façade upgrade, have a look at the lighting at night, and consider replacing the old and dull exterior lamps for a brighter option. LED lights are an excellent choice for the outdoors of your home. This fantastic lighting feature may just add the amount of illumination that is sure to give your façade the required drama. 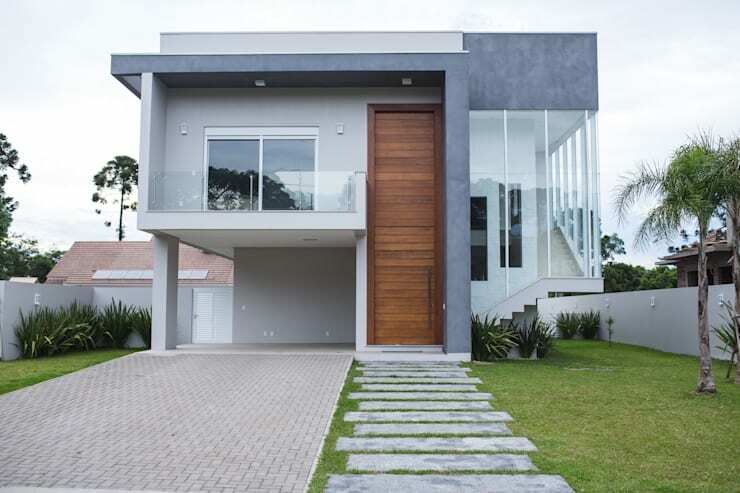 If the style of your home is modern, how about integrating some glass to the façade? This will go a long way into making the space brighter and better illuminated. Do away with that old and tattered walled balcony and opt for a sleek glass guardrail instead. While you at it, replace smaller windows with larger options that may just add the required brightness to the façade. Now how about that wall colour? Select a sober and neutral tone instead of a dark and dreary colour and your façade should be elegant again! Another great idea to update your façade is by replacing the exterior wall for a framing option. A fence no longer needs to be just for security, make your fence creative too and define your space on your terms. Replace that old brick wall with a vibrant fence, while maintaining the privacy of your home! 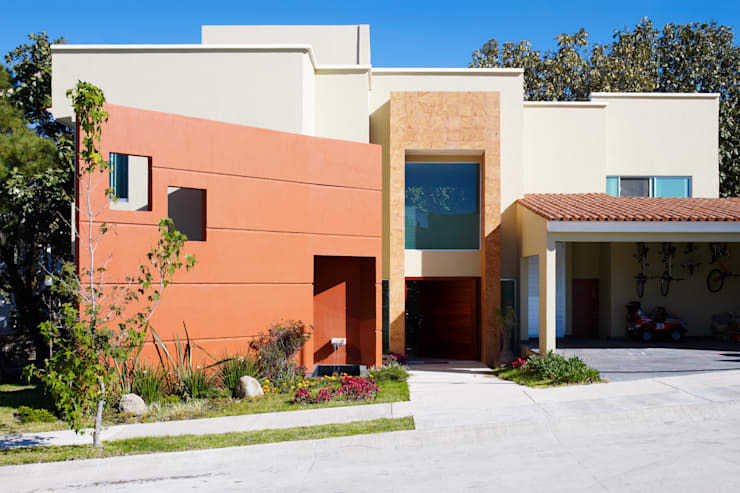 If you are tired of an all-white façade, and would like an option that has a bright and cheery atmosphere, then consider including a bright and colourful option to your façade and make your exterior look sophisticated and extraordinary. If you aren’t sure where to begin with colour selection, a visit to your local paint and hardware store will give you a variety of options from the neutral to the striking, but remember to choose an exterior and weather resistant paint! It will be more durable and long lasting regardless of the weather conditions in your area. On the other hand, if you have always had a colourful exterior façade, and you are tired of the same look and feel, it may be time to consider a reset of colour and opt for all-white walls instead. This is a colour option that will look elegant and contemporary regardless of the style of your façade. It may not be the most creative colour combination, but it will definitely make your exterior look trendy and bright again, without the need for extra illumination. For a totally different yet modern and trendy façade, how about a textured approach? This can be easily achieved by adding brick-like pieces to your external wall, this décor option can be found at the home décor department of hardware stores if you would like to do the work yourself, alternatively contact some of our professionals for their recommendation. Make your façade a creative space through these designer home décor ideas! 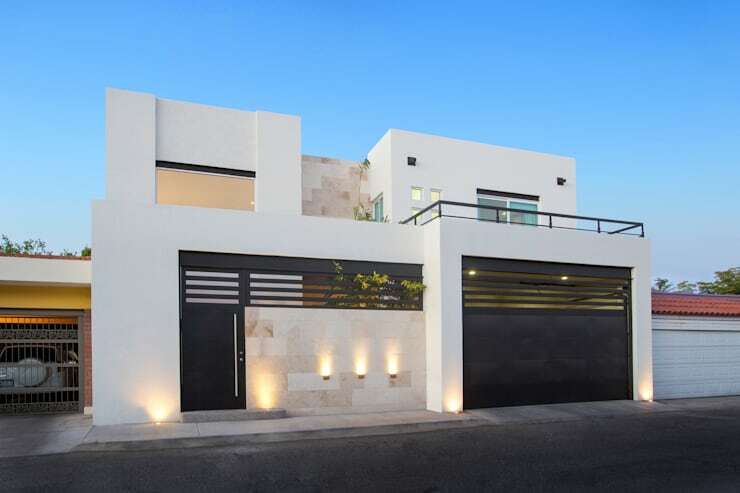 If you are someone that opts for designs that are unique and unusual, then this contrast façade approach by peek your interest. Get creative and frame your windows in a vibrant burst of colour. 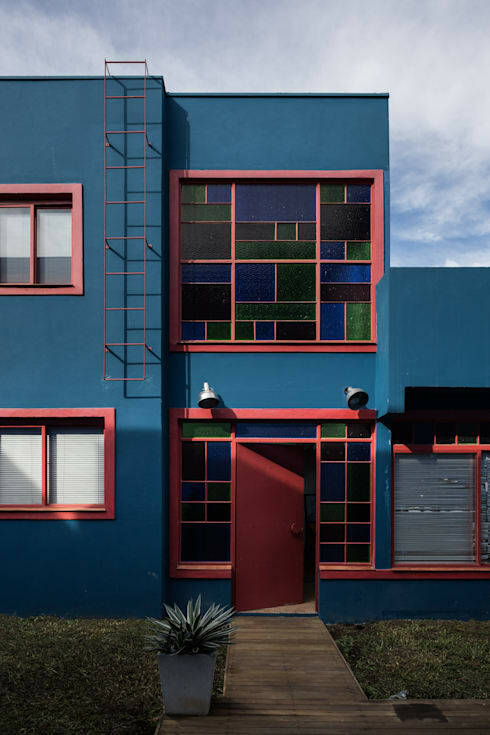 Make your façade even more interesting through another colourful aspect… stained glass windows. This decorative option is no longer seen as just for old buildings and religious structures! Imagine the sunrise through the colourful windows of your own home and the magical effect it will have on the interior. If you need anymore tips, then: Your guide to a fabulous home façade is a great read too. Do you have a creative façade? Share your story with us!